Jeffrey Mettleman sits in his office on the 20th floor of Tel Aviv’s beautiful Dalet building overlooking the Mediterranean. The sun is setting and he’s returned from a long day of meetings in Ramallah. He takes down a portrait on the wall that shows two elderly men embracing. “This is what inspires me. You see, my grandfather survived the Holocaust and here he is three years ago embracing the son of the German family that helped the Gestapo find him.” Mettleman’s family had been ball-bearing industrialists in Weimar Germany. They cared deeply for German culture. “I’ll never forget my grandpa’s flawless German and how he could quote Heine and Kant. Even to his dying day he used to keep the keys to our old estate near Hamburg.” He had refused to flee the Nazis and in 1940, while in hiding in a neighbor’s basement, the Gestapo had discovered him based on a tip. But this story that seems full of unforgivable actions informs Mettleman’s world view. To accomplish his goals Mettleman has founded a dozen NGOs to promote peace. One of them brings together former IDF soldiers and Palestinian militants. Another works with women on peace initiatives. Another involves Palestinian and Jewish children “drawing peace.” Mettleman notes that most of the goals and missions of the NGOs he has founded already exist in other Israeli NGOs, but he seeks to “do it differently.” He has hired a group of well known Israeli PR agents and the sons and daughters of families with good names. “Basically we want to harness the start-up nation and well known authors and their children to show that peace can happen.” His latest initiative will bring together a former Israeli President and Israel’s most well known author and other celebrities to launch a bucket of Doves on Rabin square. ON SATURDAY Mettleman takes a group of students on an American Jewish trip to Israel to see the West Bank. “You see, American Jewish values are liberal and into coexistence and community activism. It’s important for them to help Palestinians and not accept the views of many organizations that only show one side. 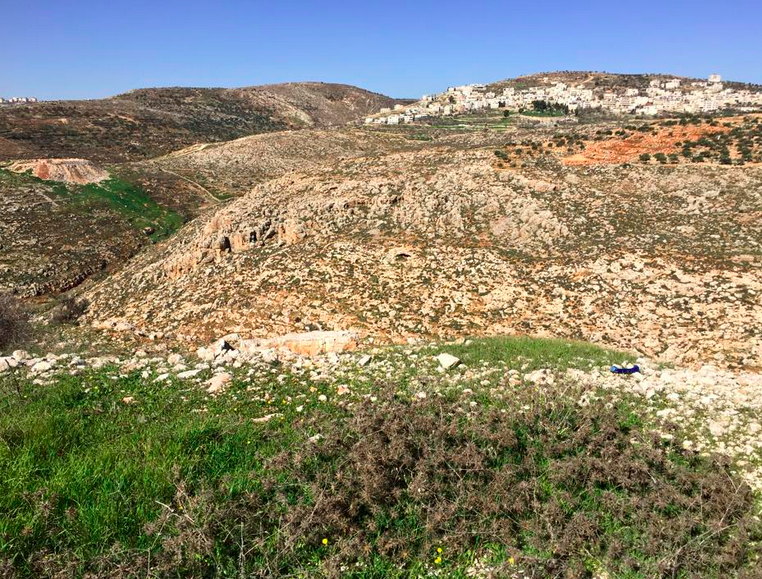 So what we do is run a mission to Israel where Jewish youth work with Bedouin, African refugees and take a tour of Hebron to understand the other.” The convoy of large SUVs snakes its way into the bucolic hills near Jerusalem. These are the ancient landscapes of the Bible and they look the same today. Palestinian villagers toil the soil. The only thing that interrupts our trip is the Israeli checkpoints and the settlements where all the houses look the same. Mettleman speaks passionately to his Jewish youth followers about his mission. “There is a story in the Bible about how we Jews were strangers in another land and it says we must not abuse the stranger. Jews have to hold themselves to a higher moral authority.” He draws inspiration from the story of Zionists like Ahad Ha’Am and Judah Magnes. “They understood that Zionism must first of all be moral and humane. What we have seen recently in Israel is a rise of brutal nationalism and xenophobia. But we can return Israel to its roots, to the 1950s when Israel was one of the most egalitarian states in the world and when there was no racism and it was a light unto the nations. That’s a Jewish concept, as Jews we must be a light, we must teach the nations; and Israel is where we can do that.” Mettleman was shocked by the recent Gaza war. “Many of my friends came to me and asked ‘how can you Jews treat people like that,’ and it hurt me. I realized, that Israel is fueling a lot of anti-semitism and if I don’t go fix it, then it won’t be fixed.” He began by founding a group called “Jews for human rights” and gathering together Jewish celebrities and academics in the US to sign a “Jewish statement for peace.” But that wasn’t enough. Now his dream is being fulfilled as he brings his first trips of young Jewish students to Israel to meet Ahmed. As the sun sets on the golden hills near biblical Bethlehem, one can almost hear the bells tolling as they did in the time of Herod. It is a reminder of the ancient hatreds and conflicts of this ancient land. But if men like Mettleman and his dream succeed, those conflicts may finally be put to rest. ← Why does Israeli society fear empowered Arab women?